Last Saturday, I was on my way from San Diego to Corona Del Mar when my car broke down. 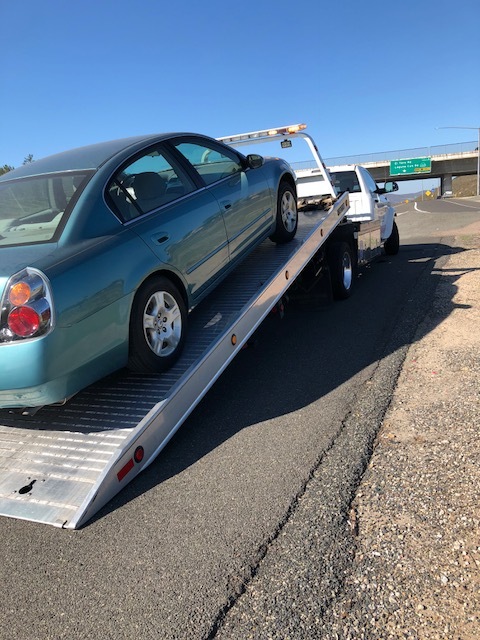 Although I made it safely to the side of toll road 73, I was especially perturbed because I had to call AAA to be towed to the nearest garage, where the repairs took until mid-afternoon. I had missed my favorite conference of the year: the Women’s Sailing Convention, held at Bahia Corinthian Yacht Club. Even though there are many ways for women to learn to sail, this one-day convention is one of the most anticipated experiences on the U.S. west coast. 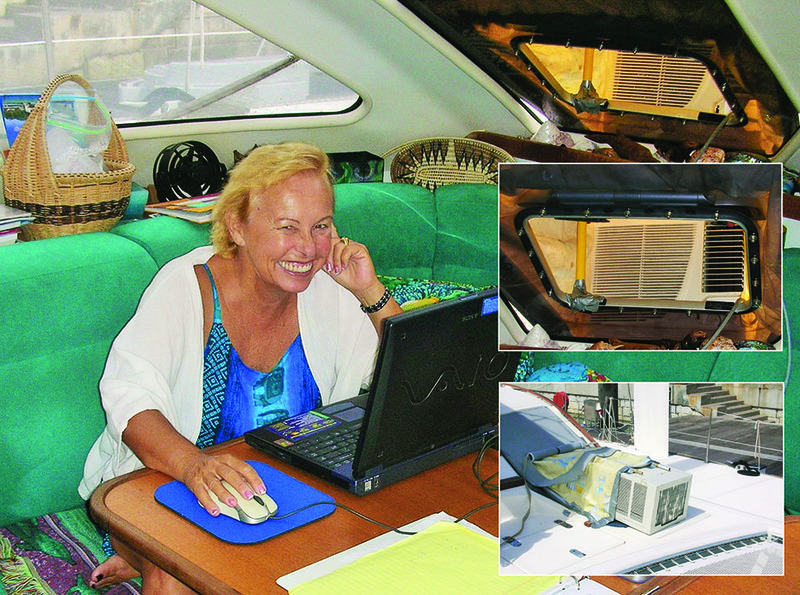 “Gail Hine created the Sailing Convention for Women in 1975, and since then she and her team of instructors have helped countless women learn the brass-tack skills needed to safely and successfully run cruising sailboats, including dealing with unforeseen mishaps ranging from engine woes to rigging issues,” says Sail-World in their interview of her. 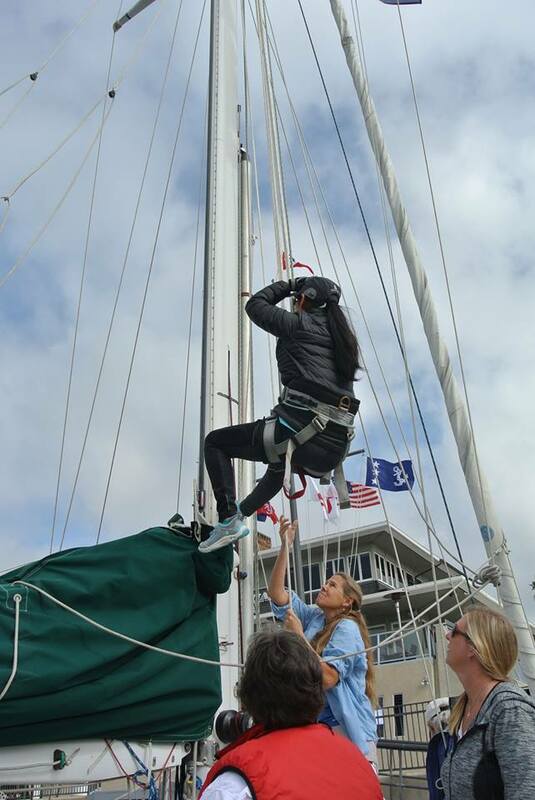 During the Women’s Sailing convention, on-the-water workshops focus on skills such as climbing the mast to make sail repairs, while indoor workshops hone skills such as navigation. I was the ship’s navigator and my husband was the Captain during the eight years we sailed Pacific Bliss around the world. And although my husband—a life-long sailor—could have taught me how to sail, I preferred to learn through certification courses offered by ASA (American Sailing Association). I started from the beginning, with Basic Sailing, Advanced Sailing, Basic and Advanced Coastal Cruising, and Basic and Advanced Coastal Navigation. Then together we took what I call the “basic training for ocean cruisers,” a 1000-mile sail offered by John and Amanda Neal of Mahina Expeditions. My husband and I had been partners in business, each with different responsibilities, and we naturally carried that over into our circumnavigation. I’ve learned from cruising the world that those couples who stay together and continue their mission have a clear separation of duties and responsibilities and have learned to work together as a team. That means that each partner must be confident, and women’s sailing courses allow that confidence to build. Women’s Sailing Associations have been formed all over the world. Some go beyond educating their members to conduct community outreach programs; for example, CIWSA (Channel Island Women’s Sailing Association) strives to also foster a love of sailing in local girls, particularly those who might not otherwise be exposed to the sport. How did you learn to sail? Do you prefer courses for women only, mixed courses, or courses for couples? Why? Author of Maiden Voyage and Sailing the South Pacific, Lois Joy Hofmann’s latest book, The Long Way Back is now available.